Today I have an interesting infographic to share with you on the topic of “Baby Vs Career”. I’m sure the issue of motherhood and work is something that touches every family. Whatever decision you make, whether to work outside of the home, to dedicate yourself to being a stay at home parent, or to combine some elements of each and work from home, it’s something you would have had to consider and mull over before coming to the right decision for your family. 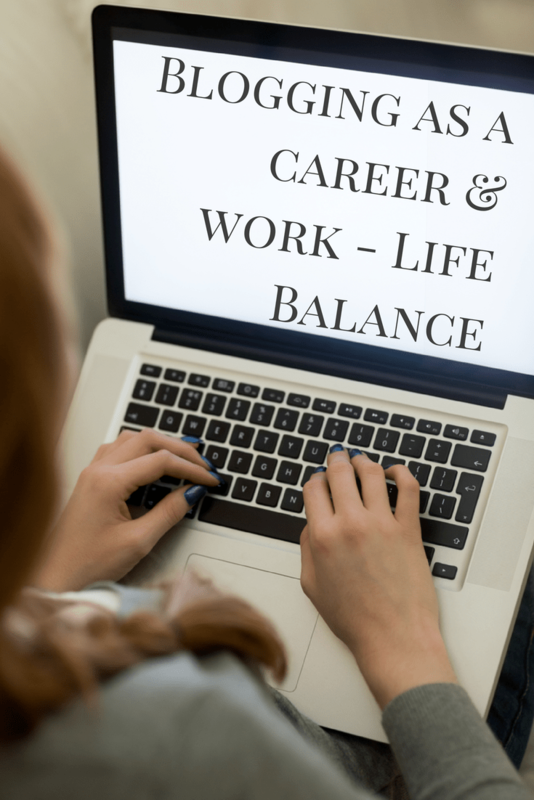 I found it interesting to see the 7 careers highlighted as being great ones for to allow you to easily balance work and family life, especially to see blogger listed among them! I know many of my readers are also bloggers, and from those who aren’t I do get plenty of questions from people who are interested to know how to start a blog. Both new bloggers and non bloggers often have a lot of questions about how blogging works as a business and a way to earn a living. The great thing about blogging is that is it a business where you work for yourself. You don’t have to stick to anyone else’s schedule and you can make your own rules. Of course that doesn’t mean that you can relax all the time, because if you have paying clients then at some point that work has got to get done! The flexibility is there though. You can play with your kids during the day and then write your posts at night time and schedule them out. It’s 1am as I type this post! It is tiring, but that’s a huge saving on child care costs and if you are someone who never felt comfortable with putting young children into child care and being away from them during the day then it is a perfect solution. My kids will all be in some form of school or nursery at least part time from September as they are starting to grow up now and my youngest will be turning 3 years old. This will give me so much more time to work on my blog during the day. At this stage, I am not considering looking for alternate work outside the home at all. Blogging is working for me. It’s fun, and it does pay and it’s something I’m so happy I ended up going into. It’s a very fortunate position to be in where you can earn money from doing something that you enjoy, while being your own boss. So how do you earn money from blogging? This is a question people ask a lot! Advertising and sponsorship. There are lots of forms of advertising. I have display adverts, a sponsored search bar, in-post advertising such as this infographic or full advertorial features. I also offer sponsored social media mentions. Advertising is the main way any publication would earn money and blogging is no different! Affiliates. I work with Amazon affiliate programme and Viglink affiliate programme. Sometimes if I recommend a product and you click through and buy it, I’ll get a small commission. Freelance work. Again I don’t do this, but many bloggers earn extra though freelance writing or social media management. 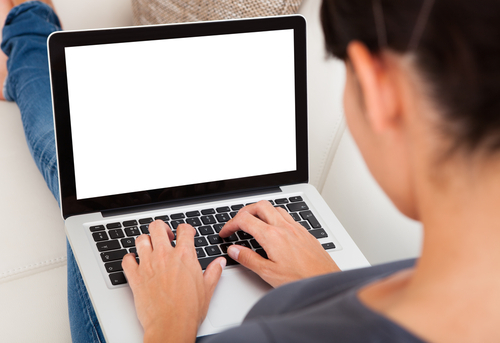 Work as a virtual assistant. If you’re a blogger with a few spare hours and you want to earn a little extra money, you can find work as a VA helping out other bloggers who do not have enough time to fit in everything that they need. You can work for an hourly rate on simple tasks like content promotion, image editing or managing email. Again I don’t do this, but it works well as an extra income for many in the blogging community. Follow Anna – In The Playroom’s board Blogging on Pinterest. Whatever career you choose, it’s a very personal choice for your family and I do believe that people can make their family and work balance work well for them whatever the situation is. It’s all about managing time well and making the time that you do have together to be time that really counts. In our family, my husband / the boys’ dad, is away for work quite a lot lately. He’s been busy flying in and out of the country so much, and of course we miss him but with the time we do get together we try our best to make it count and make some great memories with the kids, and enjoy some really fun times together. When he’s here we take the boys on as many adventures as we can! The infographic below gives some interesting statistics and information if you are a woman who is considering raising a family but hoping to hold onto your career as well. If you are working as an employee then you need to make sure you are aware of what laws are in place to protect you against discrimination and being fired simply because you become pregnant or need to go on maternity leave. And access helpful tips that will allow you to find the perfect balance between being a nurturing mother and a talented, hard-working professional. I do believe that all women should support each other’s choices. Whether working outside of the home, or choosing to be a stay at home mother there is not a one size fits all best choice. We all have a great value to society and both ways are equally valid. Why judge one another? We are all doing the best that we can for our families, and women are stronger when we stand together. So, on to the infographic! I’d love to hear your thoughts and experiences on this topic. Do you work? How do you handle balancing your career and family if you have one? Were you surprised by anything in the infographic? Share with me in the comments section. I would love to start making a bit more money through blogging so there are some really useful tips there. I think I will definitely look into some freelance work especially when I get my daughter into nursery for a few hours a week. Hmm at netmums comment “delegate – if necessary train your other half to do more around the house”. I don’t like the way they have phrased that. It comes across really sexist to me. Why is housework automatically the woman’s job to delegate and why should they assume a man needs to be trained to be able to pull his weight? Really informative post. Thank you! I’m at the crossroad now where I either go back to work or continue to stay at home so this post has helped me an enormous amount.